Welcome to the private dental practice of Dr. Hassan Jazaeri. At Pearl Dental Center, we believe in providing a combination of advanced cosmetic dentistry procedures with comprehensive general and family dentistry. Our patients know that we work not only to improve the brilliance of their smile, but to help them maintain superior overall oral health. Years of successful cosmetic and family dentistry experience have confirmed our belief that a truly beautiful smile is the result of harmony between aesthetic talent and technical skill. Beauty. Health. Confidence. Together, these three qualities represent the ultimate goal we want our patients to achieve. Whether you seek skillful cosmetic dentistry or family dentistry in Bothell, Pearl Dental Center delivers comprehensive care with exceptional results. Each and every patient visiting our cosmetic dentistry practice receives personalized, professional treatment specifically tailored to their unique needs. We invite you to learn more about our Bothell practice, our talented dentist Dr. Hassan Jazaeri, and the rest of the Pearl Dental Center team. Conveniently located in Bothell, Pearl Dental Center offers a variety of dental services, including ZOOM!® teeth whitening, dental implants, professional cleanings and preventative care, and porcelain veneers, to name a few. We also offer top-of-the-line dental technology and special amenities for the absolute comfort of our patients. Learn more about Pearl Dental Center and our dentist Dr. Hassan Jazaeri. 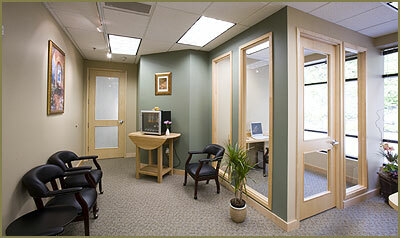 For cosmetic and family dentistry in Bothell, contact Pearl Dental Center. Bringing superior cosmetic and family dentistry to the Bothell community, Pearl Dental Center provides each patient with personalized dental care to encourage brilliant, healthy smiles. Welcome to our practice!